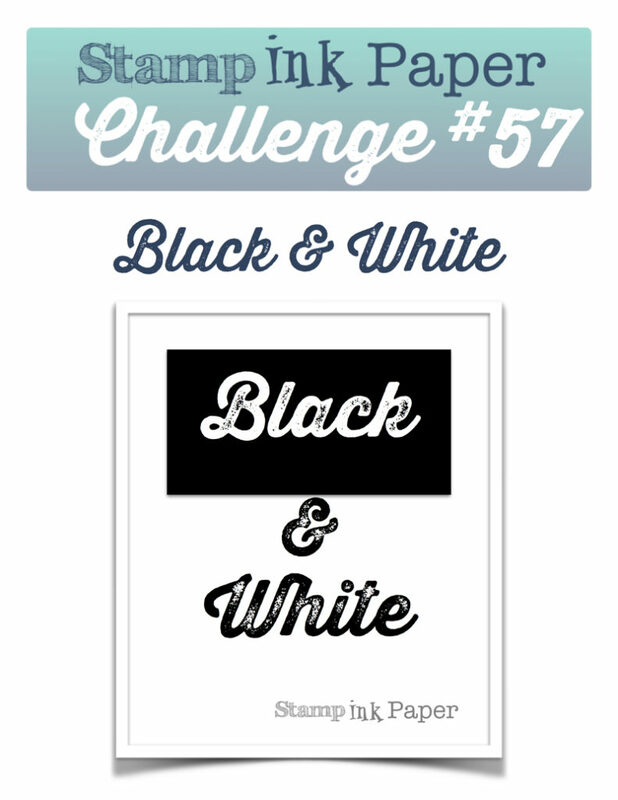 SIP Challenge 57 – Black & White! Home / Altenew / SIP Challenge 57 – Black & White! Hello my blog people! How was your Monday?! Mine was crazy busy! LOL! No surprise there! The Stamp, Ink, Paper Store was fun. I got my Notions order in and had one more person for Card Class today. My friend Lori also stopped by to get her dies that she ordered. Around 5:30 the heavens opened up and it poured for about 1/2 hour then the sun came back out. I had a quick dinner with my Parent’s and then came home and started working on some of the 100’s of projects that I need to finish! Today I have a conference call in the morning and Renee has Kids Camp at the store. It’s all a go all the time and I wouldn’t have it any other way! 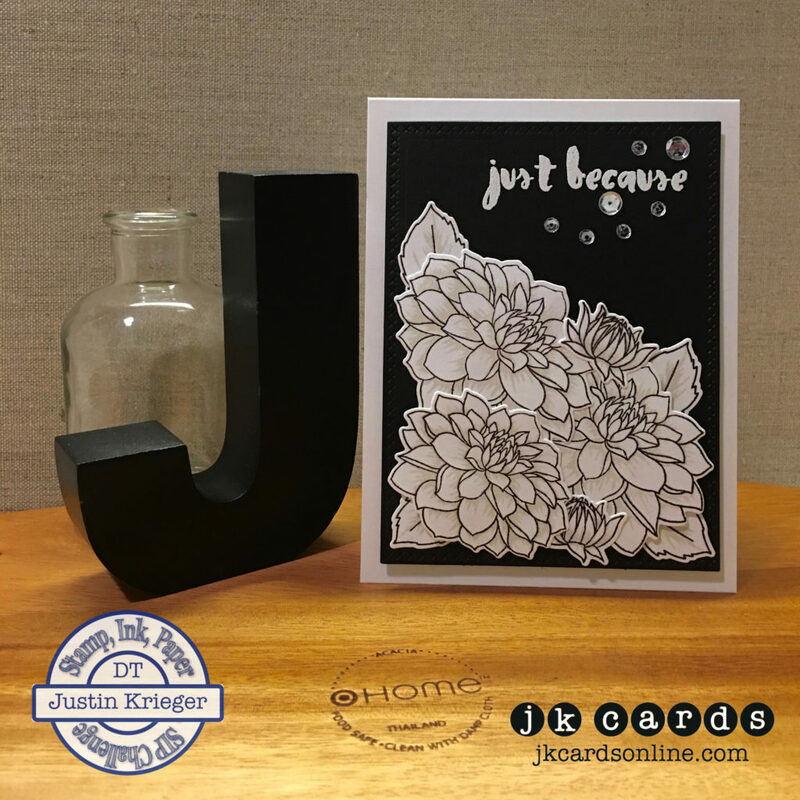 This entry was posted in Altenew, Blog, Cards, Crafts, Embellishments, Embossing, Hero Arts, Lawn Fawn, Photopolymer, Pretty Pink Posh, Stamps and tagged Altenew, Card Making, Crafts, Hero Arts, Lawn Fawn, SIP Challenge. Bookmark the permalink. Wow! What a beautiful card, Justin. I love the white dahlias with the subtle gray highlights. Of course, the sequins give it that touch of bling necessary for any of Justin’s cards!! The storm was bad around here for a short time, although many lost power, we were lucky on that. Glad it cooled off a bit. Great card. The dimension and the grey highlights really make the flowers pop. How fortunate you are to have found a job you love! I would love to visit the store but live on the west coast. It’s really hard to find a good store around here. Do most of my shopping on line. I do enjoy reading your blog everyday although I do not comment a lot but love all your cards and I just love this one. I may case it using a different stamps You days make me tired just reading all you do-Oh to be young again. You sound very happy and enjoy your days working, which is unusual these days. I also want to mention I did meet you in Allentown at the rubber stamp show. I was so happy I did get to see you. Maybe one day I will venture into NY to see the shop. Thank you very much Christy! The Altenew stamps are fantastic as are their inks! Yes, I always like a few sequins don’t I?! Ah….. Black and white, my favorite! abnd this card is beautiful!!!! Love the dimension. Take care…..